Dr. Robert Lustig notes that the American Diabetes Association (ADA) has just released its newest guidelines for management of type 2 diabetes in children. is a “bought” organization. Bought by Big Pharma. It’s only about the money. It’s not about lives or health or society. This is extortion. Big Food is Al Capone. And the ADA is Frank Nitti, his henchman. The ADA recommendations do talk about physical activity and diet, but judge the evidence for them as not particularly strong (grades B and C). These are standard recommendations, but difficult to follow consistently, not least because they are not nearly forceful or specific enough. Dr. Lustig would like much greater emphasis on restricting sugars. That’s a good place to begin. I visited the AC supermarket in Utqiagvik, the town formerly known as Barrow. It could be anywhere USA, with anything you could possibly want, including fresh blueberries from Argentina. How’s that for food miles? Remember: all of this, no exceptions, comes in by cargo plane. The produce section was lovely, with remarkably fresh foods at equally remarkable prices. Would you believe the green leaf lettuce is $3.50, the baby carrots $7.29, and the romaine $4.69? New York prices on steroids. How about white potatoes at $3.29, red ones at $2.79, and baking potatoes at $18.99 for 10 pounds. Or the reason I was so concerned about the tossed out school lunch milk cartons: $7.11 on sale. How about bread on sale for $5.98 a loaf? Just to make me feel at home, here are the sugary drinks down one entire aisle. The 12-packs were on sale for $10.98, which must not be enough to discourage sales. Are soft drinks a problem in Utqiagvik/Barrow? The prevalence of obesity and diabetes is low, but rising steadily, and the Indian Health Service dentists told me that they see plenty of little kids with rotted teeth from drinking sodas and sweet juices in baby bottles. The nutrition transition is taking place in America too, and for the same reasons that obesity and diabetes are becoming problems in the developing world. Thanks to Melanie Nesheim for sending me a link to Russ Greene’s (The Russells) account of Nick Jonas’s dispute with Crossfit over its posting of this image. As best as I can tell, here’s what happened. Nick Jonas of the Jonas Brothers, who has Type 1 diabetes, sent out a tweet objecting to this image as insulting to people with type 1 diabetes. Note: Sugary beverages are a not a risk factor for type 1 diabetes but they are for type 2 (see, for example this, this, and this). Russ Greene entered the fray with a tweet pointing out that Coca-Cola sponsors the Jonas Brothers’ concerts. Apparently, this caught the attention of Good Morning America. A spokesman for Nick Jonas denied that he had any kind of deal with Coca-Cola. Maybe not, but as Mr. Greene pointed out, Coca-Cola presents or sponsors the concerts and advertises that it does so. In taking on CrossFit’s critique of the role of sugary drinks in diabetes, Nick Jonas became a de facto spokesman for Coca-Cola. Coca-Cola’s support of Jonas Brothers’ concerts paid off. 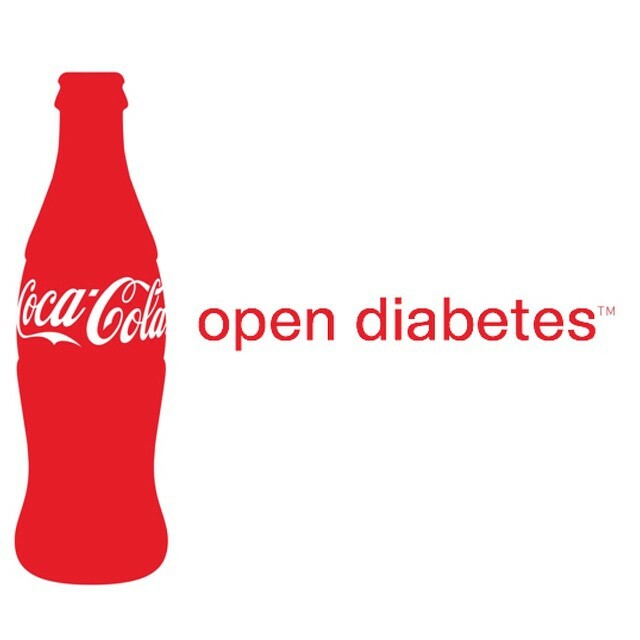 Coca-Cola’s sponsorship of musicians and sports figures buys loyalty and deflects attention from the well documented role of sugary drinks in type 2 diabetes and other health conditions. 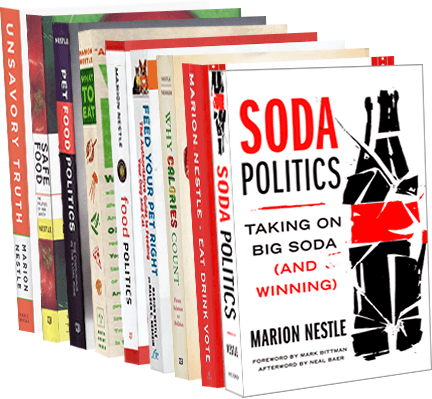 And, of course, I examine this sort of sponsorship in much greater detail in my forthcoming Soda Politics: Taking on Big Soda (and Winning), which comes out in October. We’ve been telling people to lose weight, eat more complex carbs and do more exercise for years to get their blood sugar under control, but the number of Americans with type two diabetes continues to rise at an alarming rate. So how can the food industry help? In this FoodNavigator-USA special edition we explore the growing number of tools in the formulator’s toolbox to help promote healthy blood sugar. We also look at what messages resonate with consumers, from the glycemic index to healthy blood sugar, plus what you can, and can’t, say about diabetes on a food label. It’s always interesting to look at such issues from the food industry’s perspective. And FoodNavigator reporters do an especially good job of putting the issues in context. The NYC Health Department goes to court at noon today for a hearing on the 16-ounce soda cap (I’ll be there). Yesterday, it released alarming data on diabetes deaths, now at an all-time high. The press release notes that although NYC’s overall deaths are going down, diabetes-related deaths are going up. The deaths are highest in low-income communities. In April, the Health Department reported that nearly 650,000 New York adults have diabetes, an increase of 200,000 in a decade. Most of these are due to type 2 diabetes, the “adult” kind. Although a small percentage of overweight people develop type 2 diabetes, most people with type 2 diabetes are overweight. Losing weight is the first thing to do to prevent or treat type 2 diabetes. Reducing intake of sugary sodas is the first thing to do to lose weight. That is why the health department wants to reduce the portion sizes of sugary drinks at food service establishments. Today’s court hearing should be interesting. Stay tuned. Does sugar cause diabetes? Is a calorie a calorie? I spent a lot of time last week talking to reporters about the widely publicized study in PloS One that correlates sugar and diabetes. The study is based on an econometric model of data food availability and diabetes prevalence in many countries. Such data are not particularly reliable, but the authors did the best they could with what they had. They are quite forthcoming about the limitations of their model and the data on which it is based [see addition below]. Their principal conclusion: for every 150 kcal/person/day increase in sugar availability (about one can of soda/day), diabetes prevalence increases by about 1%. Because no other dietary, weight, or behavioral factor shows this kind of effect in their model, it is tempting to interpret the study as demonstrating that sugar is a risk factor for diabetes independent of calorie intake or body weight. I’m not so sure. Take a look at the summary figures and decide for yourself. Figure 1. Relationship between obesity and worldwide prevalence of diabetes. Despite outliers, this figure shows an obvious and strong correlation between obesity and diabetes. Compare this to Figure 2. Figure 2. Relationship of sugar availability to worldwide diabetes prevalence. The correlation here is much less obvious. Without statistical tests, you could just as easily draw the line straight across the graph. The statistical significance is much weaker than that in Figure 1. While waiting for science to clarify these distinctions, the bottom line is the same for all of them. As I explained in yesterday’s post, everyone would be healthier eating less sugar. Addition: The authors have posted detailed comments about their methods. The disease comes in two forms – type 1 and type 2 – but type 2 accounts for 95 percent of cases. In both, levels of blood sugar are too high as a result of problems with insulin, a hormone that enables the body to use blood sugar for energy. But the reasons differ. Genetics is certainly a factor – many overweight people never develop the disease – but 85 percent or more of people diagnosed with type 2 diabetes are overweight or obese. This makes healthy eating and physical activity the most important approaches. The vast majority of overweight people at risk of type 2 diabetes can prevent symptoms by losing a few percent of their body weight and doing a couple of hours a week of moderate – not necessarily vigorous – physical activity. The same works for treatment. Some people will still need medications, but the drugs work better with diet and physical activity. Dietary advice for type 2 diabetes is the same as advice for everyone else: Eat a wide variety of relatively unprocessed foods, especially vegetables, fruits and whole grains, and don’t consume too much junk food or too many sugary beverages. Why isn’t weight loss better recognized as a treatment strategy? Paula Deen’s announcement said nothing about losing weight. I can’t help wondering if the lack of prominence given to weight loss might have something to do with the influence of pharmaceutical companies. A few years ago, I gave a talk on the importance of weight loss in control of type 2 diabetes at an ADA annual meeting. Although many conference talks dealt with drug treatment, mine was the only one on diet – except for a session on sugars sponsored by Coca-Cola. The exhibit hall was packed with drug company representatives dispensing free pens, writing pads, books, lab coats and stethoscopes – all with corporate logos. Losing weight is a losing battle for many people. It’s hard to lose weight in today’s “eat more” food marketing environment. But a diagnosis of type 2 diabetes should be a teachable moment. Shouldn’t the ADA more strongly urge people with the disease to eat less, eat better and move more, and help everyone find ways to cope with “eat more” messages? Marion Nestle is the author of “Food Politics” and “What to Eat,” among other books, and is a professor in the nutrition, food studies and public health department at New York University. She blogs at www.foodpolitics.com. E-mail comments to food@sfchronicle.com. The huge fuss over Paula Deen’s type 2 diabetes is understandable. She is, after all, the queen of high-calorie Southern cooking. And diabetes rates are especially high in the South. Heredity, according to the American Diabetes Association, always plays some part. “You can’t just eat your way to Type 2 diabetes,” said Geralyn Spollett, the group’s director of education. Wrong. You most definitely can eat your way to type 2 diabetes. Type 2 diabetes is closely linked to overweight and obesity. No, not everyone who is overweight develops type 2 diabetes. But most people who have type 2 diabetes are overweight. The first line of defense? Lose a few pounds. Even a relatively small reversal of calorie balance can make symptoms of type 2 diabetes disappear and reduce or eliminate the need for drugs. Mrs. Deen does not mention weight as a factor in her disease, or losing weight as an effective treatment. Instead, she is now a spokesperson for the drug Victoza. You know, not everybody can afford to pay $58 for prime rib or $650 for a bottle of wine. My friends and I cook for regular families who worry about feeding their kids and paying the bills. Really? Does Mrs. Deen think those families can afford to pay the $500 a month drug companies charge for Victoza? Victoza costs in other ways too. It has to be injected and is not exactly benign. In animal studies, Victoza® caused thyroid tumors—including thyroid cancer—in some rats and mice. It is not known whether Victoza® causes thyroid tumors or a type of thyroid cancer called medullary thyroid cancer (MTC) in people which may be fatal if not detected and treated early…Inflammation of the pancreas (pancreatitis) may be severe and lead to death. Victoza® is an injectable prescription medicine that may improve blood sugar (glucose) in adults with type 2 diabetes when used along with diet and exercise. Diet and exercise? Why not just do that in the first place? As for the American Diabetes Association: its disinterest in promoting diet and exercise is easily explained. It is funded by drug companies. I gave a talk at an annual meeting of the Association a few years ago and was astounded by the number of drug companies giving things—writing pads, pens, and tape holders, but also lab coats and stethoscopes—at the trade exhibit. Much of the scientific meeting was devoted to drug studies. I spoke at the only session that year on dietary issues. And Coca-Cola sponsored a session on sugars in diabetes. Mrs. Deen’s food is best eaten in moderation. She would do more for her own health and that of her fans if she used her television presence to promote healthier lifestyles. Update, January 30: Brad Jacobson interviews drug reps on AlterNet (I’m quoted).